Home/Corporate News, News/Why Do We Need Vitamin D? Vitamin D, also known as the sunshine vitamin, can be produced in the body through sun exposure or consumed in food or supplements. However, it is estimated that vitamin D produced by the sun has a half-life of only two weeks, meaning that stores can easily run low, especially in winter. Recent studies have suggested that up to 50% of adults and children worldwide are vitamin D deficient. Adequate vitamin D intake is important for the regulation of calcium and phosphorus absorption, maintenance of healthy bones and teeth, and is suggested to supply a protective effect in connection with a number of today’s health issues. For example, if your body does not get enough vitamin D, you are at risk of developing bone abnormalities such as soft bones (osteomalacia) or fragile bones (osteoporosis). What other benefits might vitamin D offer? According to a study presented at the American College of Cardiology 65th Annual Scientific Session & Expo in Chicago, IL, daily supplementation with vitamin D may improve heart function. According to Dr. Klaus Witte of the University of Leeds School of Medicine in the UK, and his colleagues, a daily vitamin D supplement could be beneficial for patients with heart health issues. 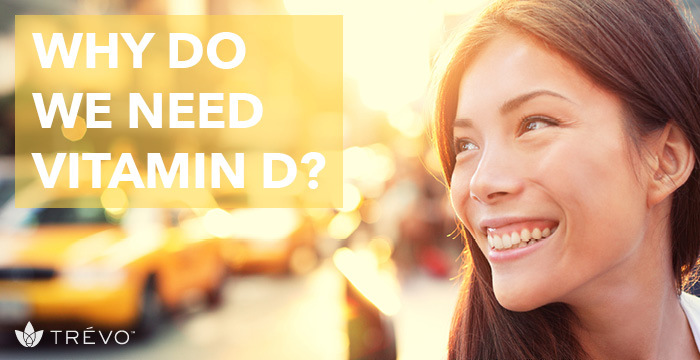 How much vitamin D does a healthy adult typically require each day? According to the Mayo Clinic and the Institute of Medicine, the recommended daily allowance (RDA) is 600 IU for those 1-70 years of age. 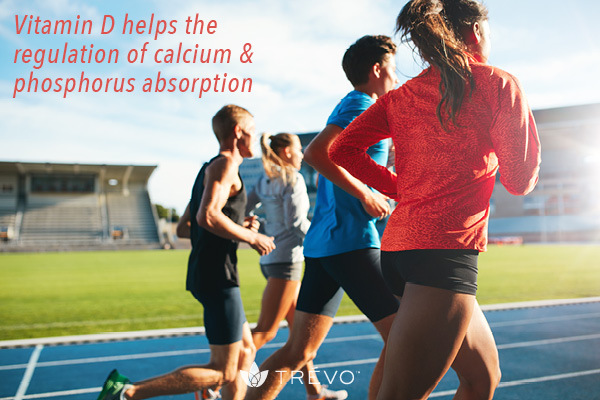 The good news is that each and every delicious ounce of Trѐvo contains 400 IU of vitamin D. So by enjoying two ounces daily, you can rest assured that you are giving your body all the vitamin D it needs to function at its very optimum best.